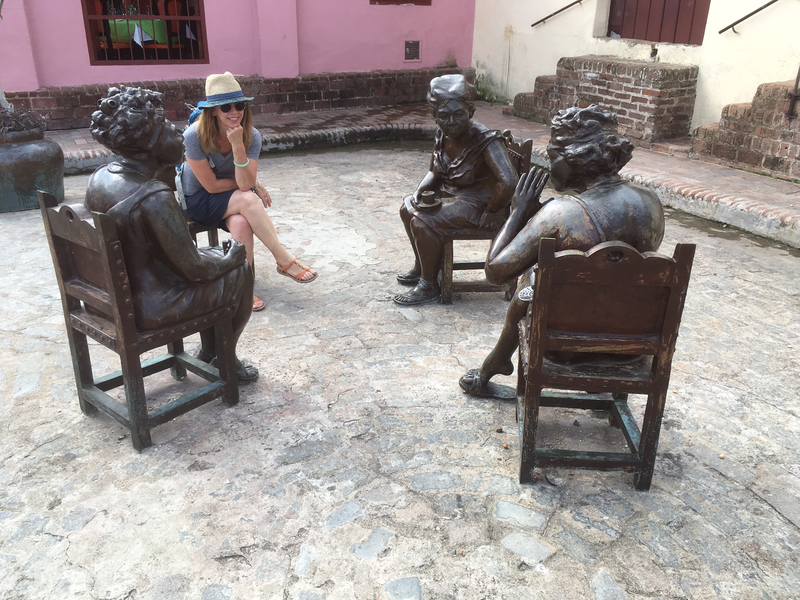 I have just returned from what, unexpectedly, turned out to be the trip of a lifetime to Cuba – we travelled the length and breadth of the country visiting virtually all of the major cities and trekking in various mountains/jungles/rainforests. I sort of anticipated that I wouldn’t find any fabric shops (Mr CK was also very reluctant to go hunting after the Norwegian Massage Parlour experience of 2015 but that’s another story). 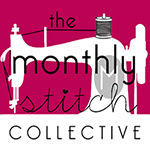 However, I did discover something (someone) really quite wonderful … and absolutely up our street so to speak (that’s you and me by the way assuming you read this blog because you sew). 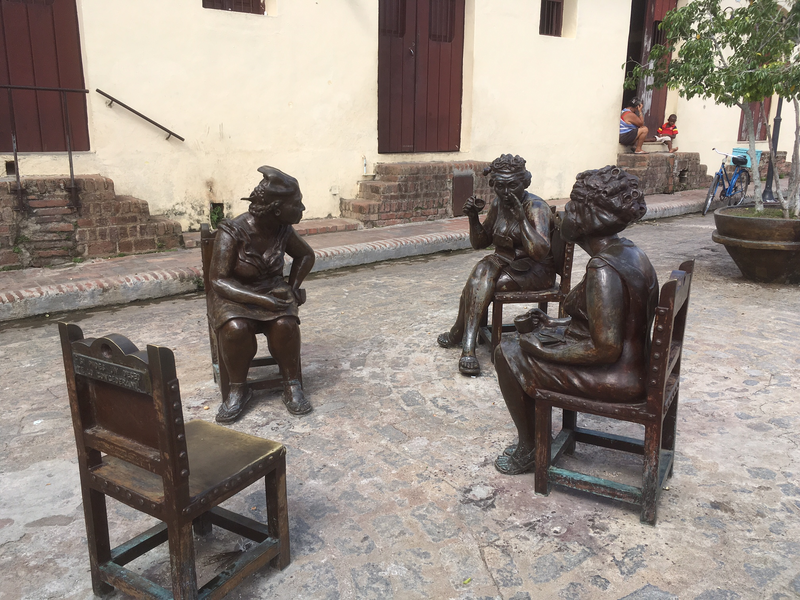 We visited Camaguey and I was delighted to encounter this astonishing sculpture of women gossiping in one of the town squares. As I sat down on the empty chair to join in, I realised that one of the women was a seamstress! 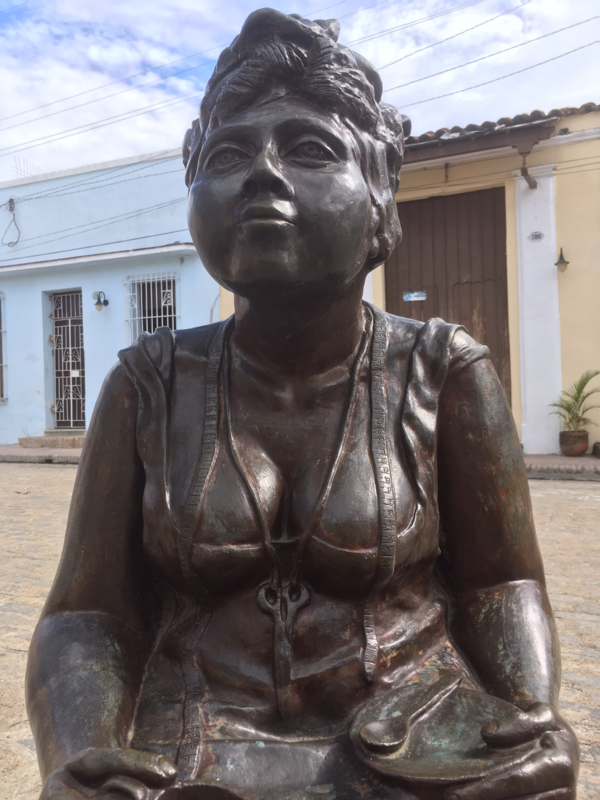 I discovered that this sculpture (and others in the square) were the work of a contemporary Cuban artist who has her gallery in the city; the models for the sculpture are all local residents. Do any of you wear your scissors and tape measure with such panache? 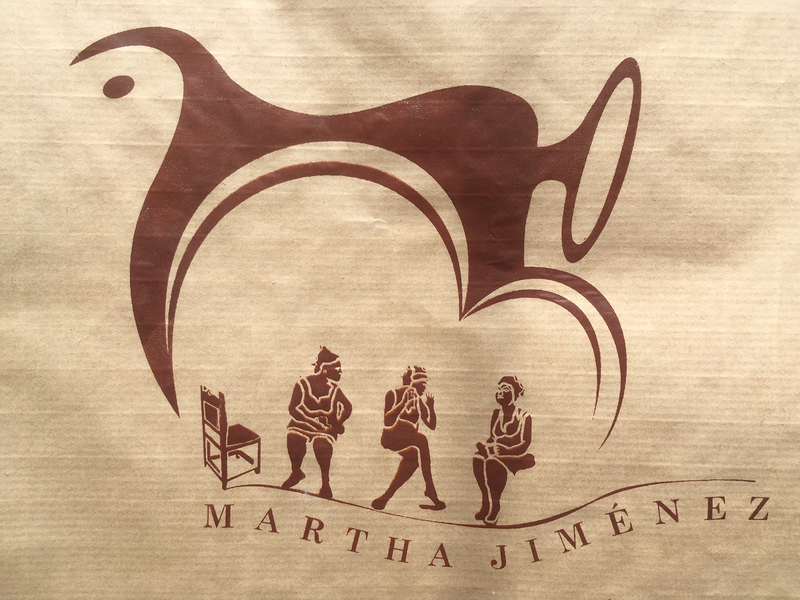 The artist’s name is Martha Jiménez and she is an outstanding sculptress, painter and ceramist who has held numerous exhibitions and won the UNESCO prize for the best masterwork collections in 1997. As her gallery was in the same street, obviously I went to visit and was incredibly lucky to see the artist there. Mr CK was in the process of trying to buy me a small ceramic for our study (my sewing room) so it was quite disappointing for him that I spoilt his surprise – the bigger surprise was that he was in the gallery before me! I was too busy sharing sewing tips with the ladies outside. The gallery was full of striking paintings many of which feature a sewing machine. 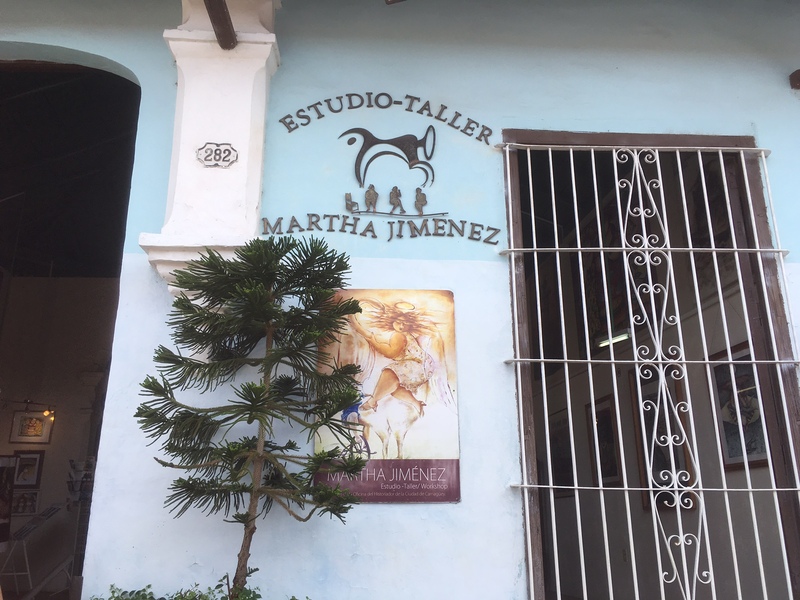 Jiménez is an artist who is interested in feminist issues -many of the depicted women have flowing hair to symbolise freedom. I bought myself a signed print which was entitled Nubia and is part of the Longing Collection which is dedicated to her mother, a seamstress. 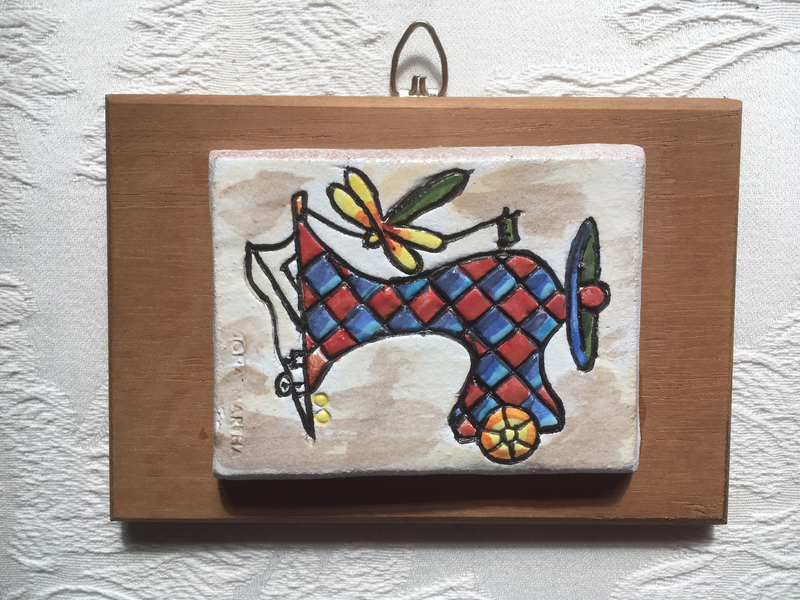 The website, says of the collection “The strong presence of sewing machines, which is also an international symbol of work, in which the artist defends the working women”. 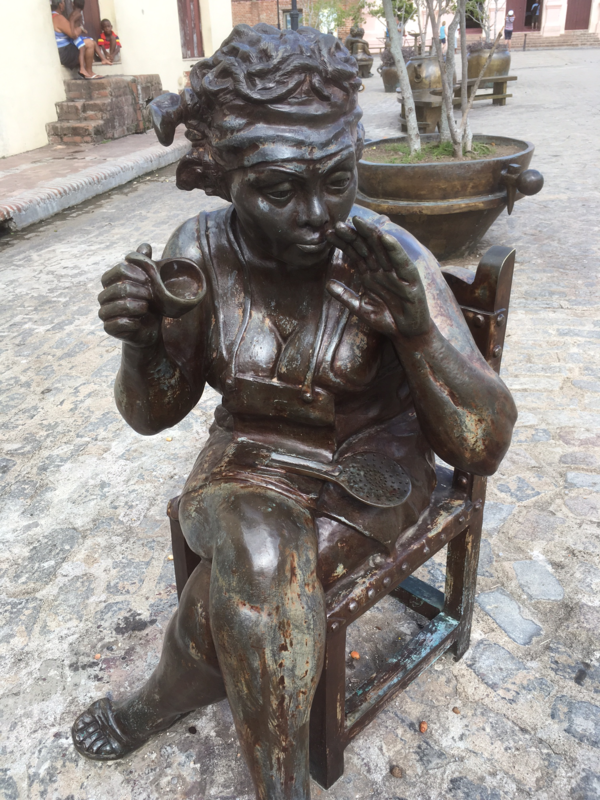 It’s impossible to convey how exciting it was to find this art so unexpectedly whislt on my trip – it was hard to drag myself away as I found her work mesmerising and the themes combine a number of my interests. It was only after I bought the piece that I read in my guide book that sometimes art (even just prints) can be confiscated at the airport. Luckily I sailed through and clung to my carefully wrapped package throughout the long journey home. 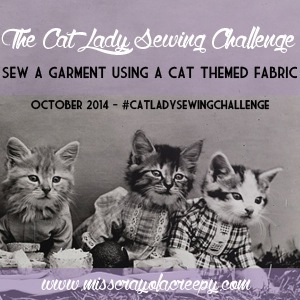 So, this is a slightly different post from me (there has been some sewing going on … honest). 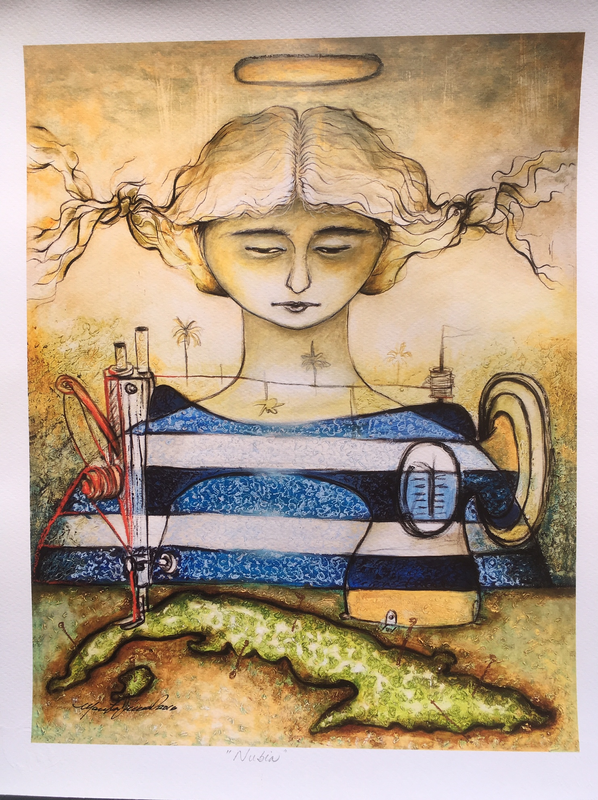 I hope that you have enjoyed reading about this artist and do look at her work on the website – link above. 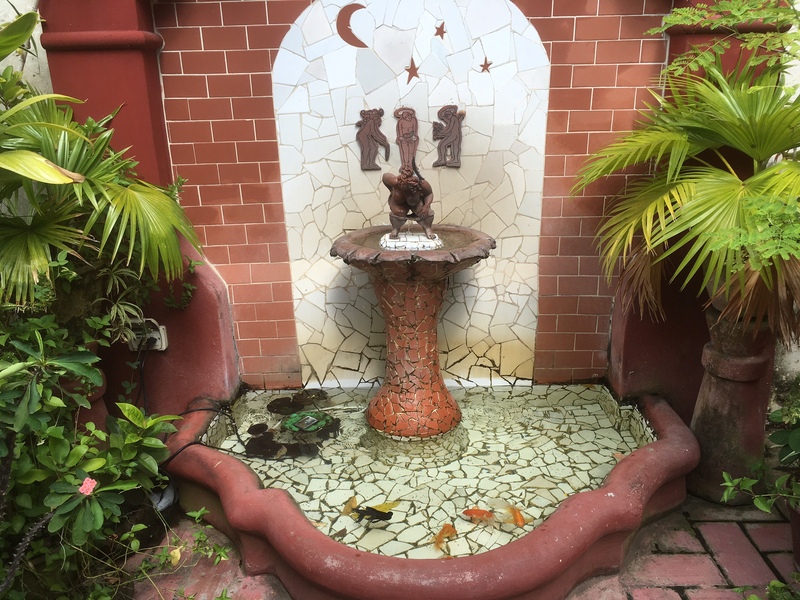 Fountain in the gallery garden – can you see where the water comes from? !